Construction is booming throughout Detroit, so now is the time to seriously think about training for a career in skilled trades. Many young people are looking for options that don’t include college and years of debt and will put them on a path of career growth, opportunity, good wages, and job satisfaction. The Carpenter’s Apprenticeship Career Fair checked all the boxes. 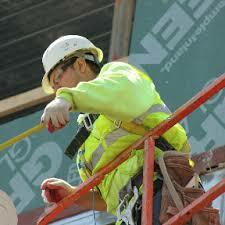 Ryan Martin is the general superintendent of Aristeo Construction. Putting the skilled trades work day into perspective, he told attendees that the days can be long or short, you have to push through the hard times with the same fervor as you do with the good times, and you can rise through the ranks relatively fast. “You can also look back proudly on what you have accomplished,” he said. Also attending the career fair was James, a 39-year-old who has recently fallen on hard times. When he heard about the event on Fox 2, he knew immediately that he would be at the event. “Today, good jobs are far and few in between, but not in the trades,” he said. He added that he had been employed in the field but had not gone through a union certified training program. This made it challenging for him to find stable work. Visit the Become An Apprentice page for more information about how you might find your career! More than $10B in construction projects are underway in Detroit, but there’s not enough skilled workers available to fill the range of jobs available. This fact and more were shared at the Chandler Park Academy Skilled Trades Career Fair, held on March 23, 2019. School advisor, Lavell Nero, kicked off the event, noting that career fairs like this are important to help more students get exposed to skilled trade careers, as well as community college and HBCU programs, all of which were in attendance. He then introduced the keynote speaker, Renee Prewitt of The Prewitt Group and co-chair of The Partnership of Diversity and Opportunity in Transportation. Prewitt highlighted skilled trade careers via a discussion of the top ten reasons to consider a career in the field. There are more jobs available than skilled workers, demand for skilled labor has never been higher. The pay aligns with that of many white-collar positions, and some actually pay better. A few starting salaries are shown below. 3#: You earn while you learn. During training, union apprentices are paid a salary, receive benefits, and when they graduate, often have little to no educational debt. #4: You can own your future. If you consider yourself a driven self-starter, you can quickly become a foreman or a crew leader, and within four years, a master journeyman and/or project manager. The skills learned can even help you start your own company. #5: College is not for everyone. An interesting statistic from the U.S. Department of Education states that 45% of all students who start college, dropout. One size does not fit all. #6: You will never be outsourced. 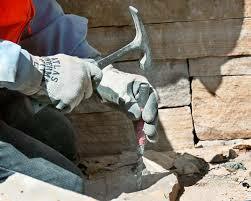 Local laborers are the life-blood of Michigan construction projects. The industry cannot simply hire foreign laborers to cut costs. #7: Technology is a growing part of the industry. 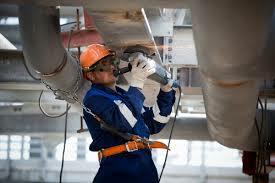 Most people think skilled trades jobs are dirty jobs, but this is simply not the case. Technology is creating new opportunities to work better and smarter, and are requiring new skill sets of employees. #8: Getting started couldn’t be easier. #9: You will develop a lasting work ethic. Some skills are important wherever you go. Those at the top of the list include several “beings,” such as on time, teachable, professional, responsible, and showing initiative are taught to those who are willing to learn. #10: Now, more than ever is the time to get started. 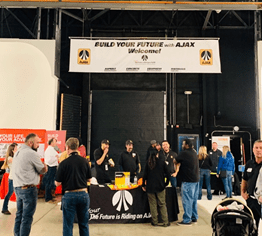 The Build Your Future with Ajax career fair was held on March 8, 2019, and featured representatives from Michigan Center for Truck Safety, Laborers’ Local 1191, Operating Engineers 324, as well as AJax. Some of the industry’s newest construction technologies were displayed throughout the room. At each station passionate experts explained what they did, and how they applied the new technologies on the jobsite. This was a place where job seekers could simply show up, learn about the skilled trades industry, and apply for a job as an apprentice. Unlike the skilled trades of yesterday, today’s skilled trades jobs offer employees strategic career paths to earn good wages and to learn the many new technologies that are a huge part of this growing industry. These technologies better equip the work force for future success by assisting road crews to finish jobs more efficiently and to avoid costly errors. 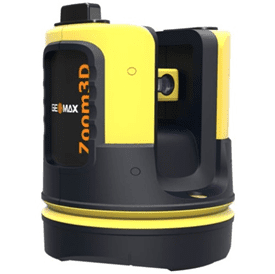 One station at the event demonstrated how 3D mapping systems create the physical parameters of roads and guide the machines laying concrete and asphalt. At the Operating Engineers station, attendees sat at a training simulator. No scores were recorded, but I got a chance to see how apprentices learn to use computers installed in heavy equipment machinery like bulldozers and cranes. How can job seekers get started? When applicants come to events like Build Your Future with Ajax, the first step is to talk to men and women representatives onsite and make sure that a career in skilled trades is what you really want. After filling out an application, applicants are vetted, interviewed and may ultimately come on board for training and employment within a few weeks. Events like this help job seekers get their foot in the door as apprentices. So, if getting paid while learning, taking free courses for career advancement during employment, receiving top-notch benefit packages, and doing work that you can be proud of sounds like a good deal, then a career in the skilled trades may be the right fit for you. Earn while you learn through an apprenticeship, the other four-year degree. To get you started, visit our website at www.MiRoad2Work.org. In addition, informational resources are provided below. The second annual National Apprenticeship Week #NAW2016, made a deep dive into the Metro Detroit region recently, and helped to move the apprenticeship needle from mystery to reality for many people who have never found a pathway into skilled trades. Throughout the week—Nov 14 to 20—a series of events took place that proved to be a huge opportunity for both sides of the employment pipeline: Employers who need to fill hundreds of skilled trades jobs benefited from the creative outreach, and those who can work these jobs learned what is required to be prepared for the challenge. It marked the progression of a beautiful relationship. The Construction Science Expo is an annual event, held in late spring at a prominent location in Detroit, during which high school students who have signed a drug-free pledge are invited to spend a day being exposed to careers in the engineering and construction fields through a variety of speakers and hands-on experiences. 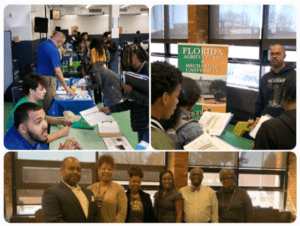 The first event was held in 2011 at the Michigan (Detroit) Science Center, and subsequent highly successful events have been held at that location or the A. Philip Randolph Career and Technical Center.